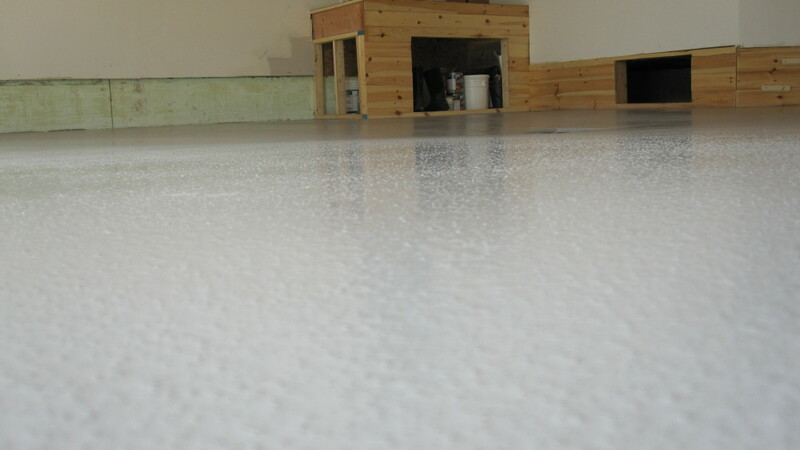 Surface preparation is an extremely important part for bonding coatings to concrete. Requiring a substantial amount of equipment, diamond tooling and expertise to complete in a safe manner. Surface grinding, shot blasting with high CFM vacuums attached to machines, insures a safe environment and does not contaminate the site with harmful silica dust. 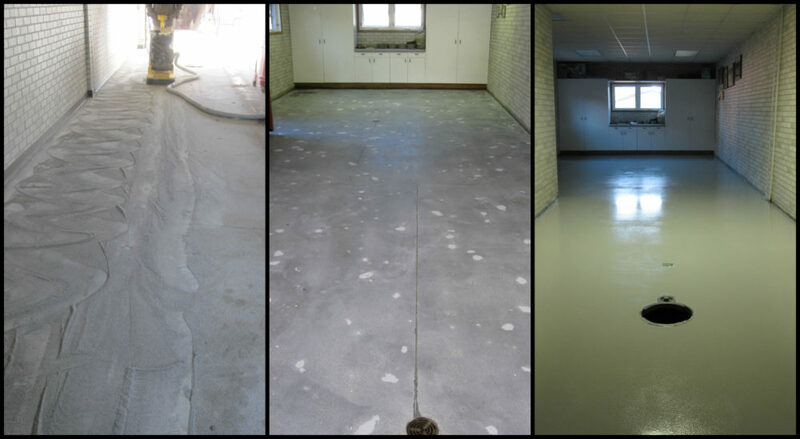 Surface repairs, cracks and joints are prepared and filled with the correct material during surface preparation. 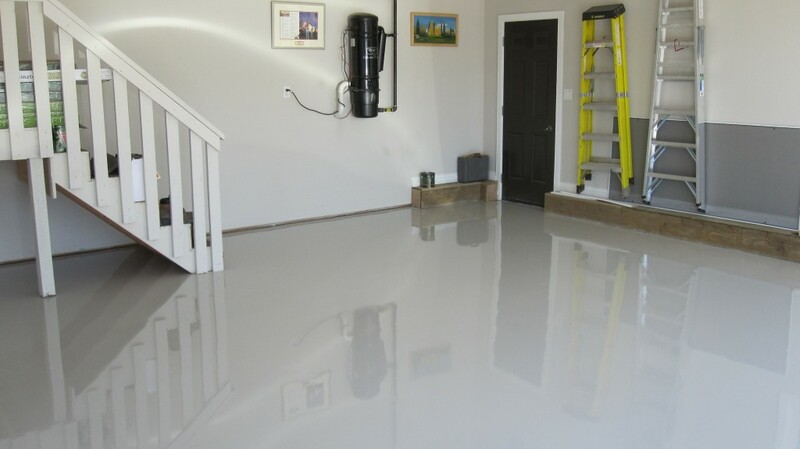 CRC will prepare the concrete for your DIY paint install or flooring project. The floor can be clean and ready for install. 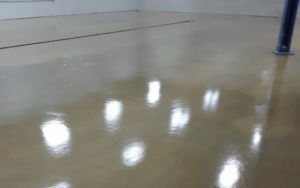 Adhesives, paints, epoxies, vinyl tile, ceramic, etc. Every floor has its challenges, whether its uneven, salt damaged, delaminating, oil contaminated, soft, shale, cracks, moisture transmission, abrasion damage, frozen, carbonation the list goes on. We have the experience to recognise the problems and offer the best solutions available. 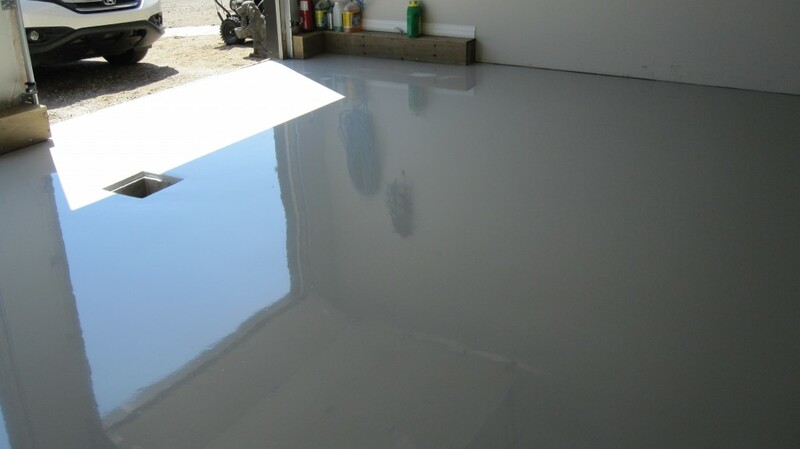 Clear or Coloured lower solids primer seals the concrete and penetrates for a great bond. Can be used as a stand alone coating at low cost per s/f. 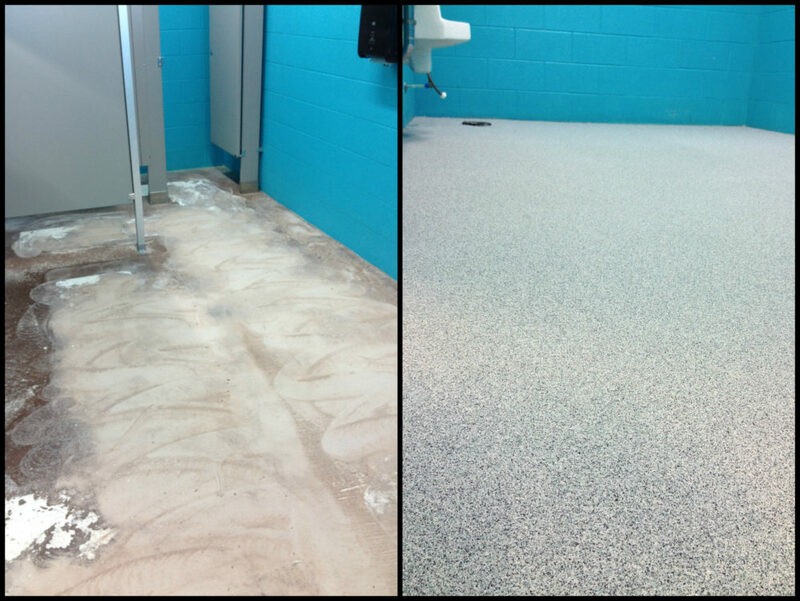 From concrete protection to complete resurfacing epoxy / polyaspartic / urethane coatings can be used in wide range of residential, commercial, and industrial applications. 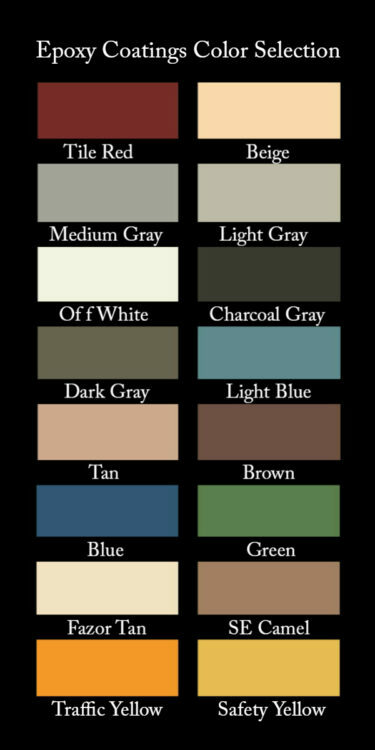 Can be tailored to your specific requirements and budget. 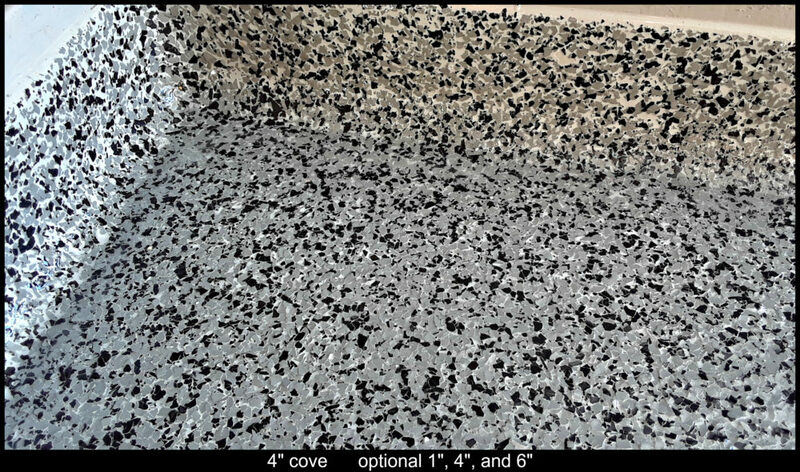 The chip finishing method can be used on top of a heavy duty coating system that is made up of a multiple coats of epoxy/MMA/polyaspartic and multiple quartz broadcasts in the case below. Industrial Quartz Systems are solid colour, used for medium duty to heavy duty traffic areas. 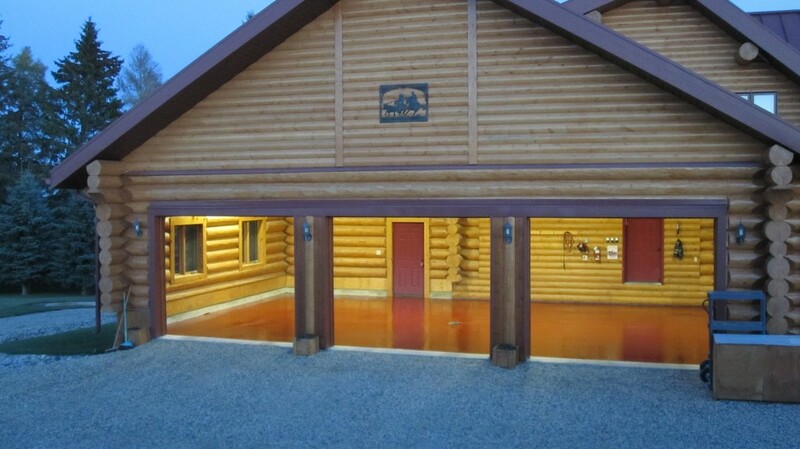 This floor system is aesthetically pleasing, can create a extremely durable, waterproof, non-slip, surface which is easy to clean and maintain. Can be finished to create a variety of textures ranging from rough to smooth. Quartz systems have a slightly higher cost as more material is required, but will have a substantially longer life cycle verses a flake floor in the same environment. 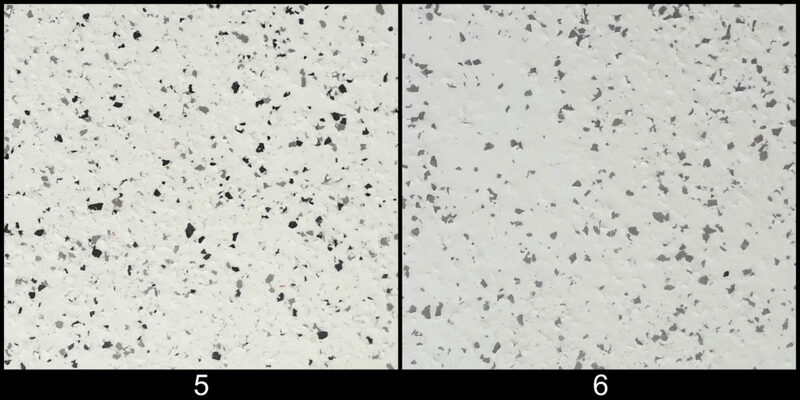 Decorative Quartz System is produced in the same manner as the industrial system except the quartz granule is coloured and the coating used is clear giving an aesthetically pleasing, high performance floor that can withstand high traffic and a slip resistant profile if required.